With a plethora of appraisal firms in the industry The Adaero Group, LLC. is determined to set itself apart from the competitors! We have a strong commitment to education, investing in the best tools and latest technologies as well providing superior communication. These commitments allow you to have less worry when making an appraisal order. 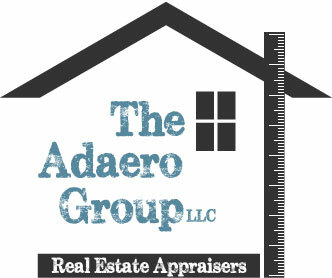 At the Adaero Group, we realize doing the actual appraisal is only half the work. We are also running a service centered business and we know you rely on us for quick turn times and the utmost in professionalism. Our commitment to you and your clients is unparalleled. When you place your order you can rest assured we are on the job, our websites and appraisal software alert us instantly of new assignments and our emails are sent directly to mobile devices so we are notified of your need immediately. The Adaero Group, LLC. is very proactive about communication and we will keep you notified every step of the way! We would love the opportunity to work for you; please call us at 919-634-6444 or email us orders@theadaerogroup.com for your next residential real estate appraisal need!